Google+: Losing Steam or the Calm Before the Storm? From its earliest attempts with Wave and Buzz, Google has had its share of mishaps and failures in their quest to enter the social networking world. Wave died out without even making a tiny ripple in the vast digital sea, while Buzz landed Google in a fight with the FTC over privacy concerns. 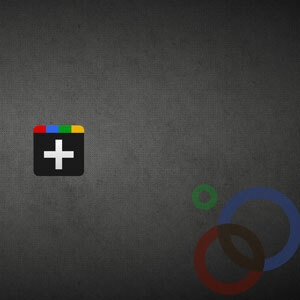 Now, they released Google+ and things seemed to finally work out in Google’s favor. There was a credible and palpable hype over the service, as well as an eagerness from users to see what Google had to offer. As testament to this, 25 million accounts were added to Google+ in the two months after its grand opening – no small feat in and of itself. As the ‘new toy’ glow fades from Google+, the amount of new accounts is starting to decline according to internet measurement data company Experian Hitwise. The numbers they recently released indicate that traffic to the site dropped by 5.5 percent, down to 1.16 million unique visitors on the week that ended at August 17. On the other hand, traffic had grown by an outstanding 283 percent four weeks prior, at the end of July 16. The decline has not just been centered on the traffic. July also kept users in Google+ the longest, at an average of five minutes with 50 seconds and dropping to five minutes and 47 seconds by August 17. It needs to be kept in mind, however, that Google+ is only available by invitation at this point, and it is not actually opened to the public. According to Google officials, that is because they are deploying their new social network as a limited field trial. That fact alone puts the data gathered by Experian in a whole new light. If Google+ gathered such a high amount of users and traffic while being closed off to most internet consumers, it seems like an amazing start. Once the service opens to the public, any Android enabled phone, tablet and PC will most likely urge users to join Google+, and this could potentially add millions of profiles to the social network. It does not take an internet guru to see Google will have a hard time competing with Facebook, which has over 750 million users. Facebook has spent many years, as well as many millions of dollars, establishing its dominance over the social networking game. Users are now comfortable with the service and the way they use it to interact with their contacts. Google+’s success will hinge on how well they can iron out the bugs and privacy issues before the service officially opens to the public, as well as how seamless Google can make the transition for users already accustomed to a different social networking experience. At the very least, Google already has an ace in their hand in the form of service integration. By the time the service opens to the general public, its social networking should be seamlessly integrated with Gmail, iGoogle, YouTube, Google Search and many other services consumers already use, and that could prove to be its secret weapon. If you have not registered for a Google+ account yet, you can get a Google+ invite here. I really hope Google+ performs well as I have found my google account really useful. I must say that my first couple of attempts to navigate around it have been a little confusing and hope that it will be more accessible to others. Hi. Thanks for sharing this. In my opinion, I think it’s Google that’s already losing the steam for its Google+. This post is very informative and it ready suits my taste reading your post. Thanks a lot! I think the problem is that, we can do it in Facebook so why should we do it still in G+? All of my friends and family relatives are on Facebook, no one is one G+..
It’s good that they make G+ as invites so that to avoid spammer and massive of creating accounts. I don’t think there is any competition of the google+ with face book.Now face book has becoming an online identity of a person and its members with billions of support and satisfaction.google + is just an another experiment of an giant to get involve in social media side.